When they want to accelerate their sales velocity and effectiveness across the buying and decision cycle. 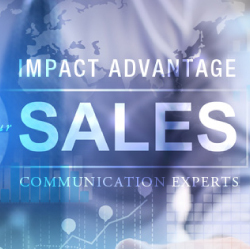 From aligning marketing and sales, social prospecting, executive access and conversations, responding to RFP’s, qualifying, objection handling, proposing, negotiating and presenting to win – our clients implement Impact Advantage’s approach to help them deal with the systemic and skills-based sales issues that you may also face. Current consultative, messaging and provocative selling methods are often limited to discovering and articulating “pain or gain” and are focused on the “what to do”; the logic of the business case and ROI. Have a Look Today for an example of how you can model a winning approach.